An early arrival on Wednesday was the weel-kent coaster FINGAL. She was arriving from Youghal to load timber at Sandbank and, for some reason, had to head for Kempock Point to pick up her pilot to take her to the Holy Loch. 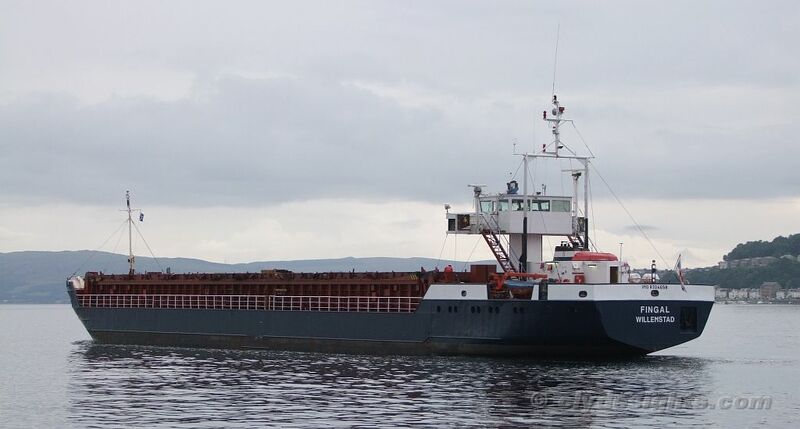 Commercial traffic heading into the Holy Loch Marina usually picks up the pilot off Dunoon. FINGAL sailed again in the early evening, heading back to Youghal.